L-glutamine and l-arginine are both conditionally essential amino acids. This means that although the body is able to produce them, during times of stress the body may not produce enough. Each of these amino acids is found in high amounts in dairy foods and meat, and both amino acids can be supplemented. Both l-glutamine and l-arginine may be helpful in improving a variety of medical conditions and can be useful for more common purposes, such as improved response to exercise. L-arginine can be supplemented for medical purposes including congestive heart failure, high blood pressure, chest pain and coronary heart disease. L-arginine is also commonly combined with ibuprofen for migraine headaches, and it is used with chemotherapy for treating breast cancer. MedlinePlus rates l-arginine as "possibly effective" for a number of uses including eliminating extra fluids that can cause problems in individuals with congestive heart failure, improving recovery after surgery, treating bladder inflammation and improving erectile dysfunction. L-glutamine, which is necessary for digestion and normal brain function, is the most plentiful amino acid in the human body. University of Maryland Medical Center notes that l-glutamine is used for improving wound healing and inflammatory bowel disease, treating symptoms of AIDS and cancer and for improving the body's response to athletic training. Many people with cancer are deficient in l-glutamine. This is why it is used as a treatment, particularly for those undergoing chemotherapy and radiation treatments. L-glutamine can help athletes avoid illnesses, particularly after exercise when the immune system may be compromised. L-arginine may be useful as an exercise supplement in different capacities. A 2004 study published in "Kardiologia Polska" found that l-arginine was able to prolong exercise ability in those with congestive heart failure. L-arginine works as a vasodilator, meaning it dilates blood vessels, allowing more blood to flow to working muscles. So these properties may also increase exercise duration in healthy individuals. 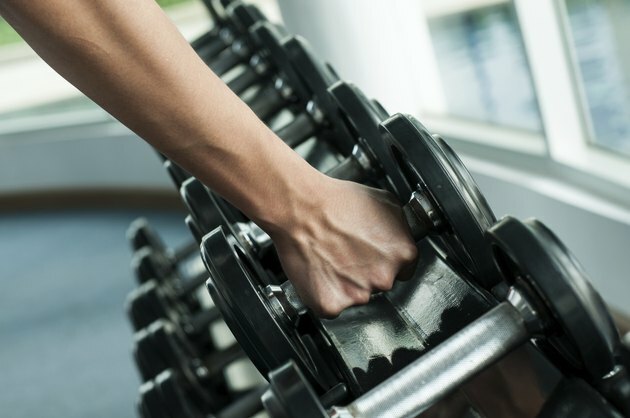 A 2008 study published in "Current Opinion in Clinical Nutrition and Metabolic Care" found that l-arginine may be effective in stimulating growth hormone, which may make it valuable not only as an exercise supplement but a more general health-promoting substance. L-glutamine serum levels may be a good indicator of high stress levels and exercise overtraining. A 1996 study published in "Sports Medicine" found that athletes who suffer from overtraining syndrome may have low l-glutamine levels for months, or even years. Because l-glutamine is important for immune function and gut health, low levels may have negative health consequences. For these reasons, it may be beneficial for individuals with high stress levels, or who train at a high-capacity, to supplement l-glutamine. A 2010 paper published in "Current Opinion in Clinical Nutrition and Metabolic Care" found that l-glutamine and l-arginine were able to work together to improve health and inflammation response; however, l-arginine reduced l-glutamine's antioxidant properties. Although there is a lack of research on the combined effects of l-arginine and l-glutamine, the preliminary data shows that combining the two may benefit those with intestinal inflammation. Current Opinion in Clinical Nutrition and Metabolic Care: Combined Infusion of Glutamine and Arginine: Does It Make Sense? In Holistic Health Is L-Glutamine Safe During Pregnancy? Should I Combine L-Arginine With L-Lysine?